I have to admit until recently I was fairly confused by parsley. There are so many varieties and they all have multiple names. Eg. 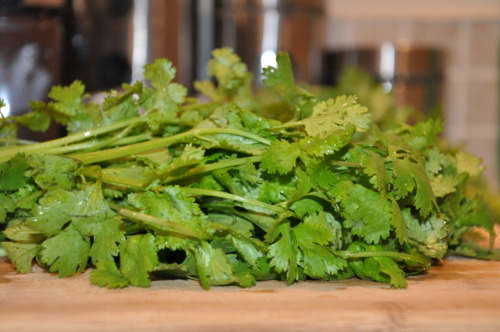 Did you know Chinese Parsley is another name for Cilantro which is also called Coriander!? Then Italian Parsley is also called Flat-leafed Parsley and looks almost identical to Chinese Parsley! Then you have the popular-lazy-garnish Curly-leaf Parsley and multiple other varieties that are mentioned on Wikipedia. Now that I have done some research I feel much more Parlsey-Competent. Fun Fact: Parsley is good for your garden.